Whenever cleaning your camera, be careful. The delicate parts inside your camera's body are fragile. Cleaning your camera sensor is not hard, but must be done cautiously. When blowing any dust and dirt out of your camera, don't use compressed air in a can. Use a hand blower. While canned air works great for computers, the air can come out too fast or spray propellant that can damage interior parts of cameras. Don't use home cleaning products. 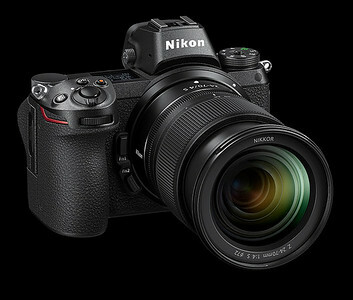 Some can damage the camera, particularly the rubberized coverings found on DSLRs (Digital Single Lens Reflex) and MILCs (Mirrorless Interchangeable Lens Camera). Use a clean, warm, damp, lint-free cloth, water only, no cleaner, to wipe your camera and lenses clean. For LCDs, only use cleaners recommended for LCD and LED computer screens. For lens' glass, use non-woven lens cloths. If there is stubborn grime on the lens, use a lens cleaning solution specifically manufactured for that purpose. Typical home glass cleaners can damage LCDs and lens coatings, so don't use them. Rain, snow, sleet, sand, wind-blown dirt and salt spray are all hazards that photographers encounter regularly and can make a photographic opportunity special. Use a camera/lens raincoat for inclement weather and salt spray. My top choice for camera/lens rain-gear is the Think Tank Photo Hydrophobia, but in a pinch, a heavy duty plastic bag can work. I never change lenses and use the Hydrophobia in the blowing sands of deserts and also in windy conditions when the air is fully of dirt and dust. In those conditions you'll also need to protect your lens' front element. I recommend multi-coated clear filters to protect your lens from wind blown sand and dirt. It costs a lot less to replace a filter than to repair or replace a lens. Digital cameras can be damaged by extreme heat and cold. On a bright, hot summer day, don't leave you camera/lens in a sweltering car, even in the trunk. Keep your camera out of direct sunlight in hot weather. While you can use an insulated camera case during cold weather, the serious problem of water condensation is too often unaddressed by photographers unfamiliar with cold weather photography. When a cold camera/lens is brought inside after shooting outdoors, the cold surfaces on and inside the camera and lens will condense the warm moist air inside on to those surfaces. Condensed water, especially inside cameras and lenses, can damage them. While some photographers take more elaborate precautions, all one needs is a large plastic bag, sealed around the camera to prevent the problem. Read my NSL Photography Blog article, Ned's top 7 tips to be prepared for cold weather photography, for details. Shooting in a city, a forest, or at a beach has hazards which can be easily handled. On the other hand, water locations, for example, require special precautions. I've used underwater housings to protect my camera/lens during whitewater rafting. I've protected gear brought for shoots from zodiacs, kayaks and canoes with waterproof, not just water-resistant, bags. They're essential to protect gear on such shoots. In winter, many use hand creams and moisturizers. In summer, many use sunscreens and insect repellents. These products often contain chemicals that can damage LCD screens and DSLRs and MILCs rubberized body components. Avoid using such personal products on your body where you may contact your photo gear. In summer, for example, I always wear a wide-brimmed hat outside and don't rub sunscreen on my face and hands. Without taking precautions, it's not hard to lose your grip of your camera/lens. Always use neck straps or wrist loops when carrying around you camera/lens to prevent accidentally dropping them. Bumps, bangs, clanks and water are common hazards encountered while transporting photo gear. Well padded bags which are, at least, water resistant are essential to tote and travel with photo gear. It's important to keep camera bags clean, so vacuum them regularly. When flying, breakable gear should not be packed in checked luggage. Checked luggage is often roughly handled and dropped. In addition, airlines refuse any liability for valuables and breakables. While on the go, my photo gear is always carry-on. Safe storage of photo gear is essential. Stow it in padded bags in indoor locations, at room temperature, away from any direct heat sources. Use reusable silica gel packs in photo gear storage bags to keep moisture/humidity low to prevent damage. It's important to use commonsense precautions and maintenance for protecting camera gear from all kinds of potential hazards. That approach should include lens caps and camera body caps to keep dust out and prevent lens interface damage when storing or transporting gear. Keep your gear protected and well maintained so it's ready to go when you need it to make the most of every photographic opportunity. Great article. Didn't know about cold weather condensation. Thanks.